I have been working as a gondolier on the Providence River for seven seasons, as of 2016. The gondola has taught me about tradition, balance, and service. Meeting gondoliers from across America, I found myself to be a part of a fraternity of very talented, very genuine individuals who share a love of these boats and a passion for providing our guests with the best experiences possible. Throughout my career at La Gondola, I have had the honor of being a part of six weddings, dozens of WaterFires, hundreds of engagements, and thousands of dates, family outings, and sightseeing tours. My work at La Gondola Providence has shaped a large part of who I am today, and I wanted to pay tribute to that with my first tattoo. My tattoo is of the ferro of a gondola — the iron piece that adorns the bow. The ferro is an example of the Italian ideal of “form meets function:” the shape of the ferro is the shape of the grand canal; the six fingers represent the six districts in the city of Venice; the finger that faces the rear represents the barrier island of Lido; the top of the ferro is designed in the shape of the Doge’s hat, and the arch between the head of the ferro and the first finger symbolizes Rialto Bridge. Historically, the ferro served both as a kind of sail, to catch the wind, and as a counterweight for the gondolier, and each finger could be unscrewed and removed to precisely adjust the trim of the boat. In Venice, Italy, there is a man by the name of Dante Boscolo. In 2013 when I met him, he had been rowing for forty years, and had earned the nickname “Il Maestro” (the master). EVERYONE knows Dante. He has trained several generations of gondoliers in his city, including his daughter Giorgia, the first female gondolier in Venice’s history. He is an artist, specializing in pen and ink when working on paper, and in cigarette ash when decorating his straw hats, which can be found exhibited throughout the city of Venice. I asked Dante to design a tattoo of a ferro for me. We collaborated over Facebook; he drew several quick sketches, and I pointed out which elements I liked in each one, until we had a rough idea of what the tattoo would look like. On a friend’s suggestion, I went to Providence Tattoo, where I was paired up with the very talented Jon Gorman, whom I had met at summer camp when we were both fifteen! 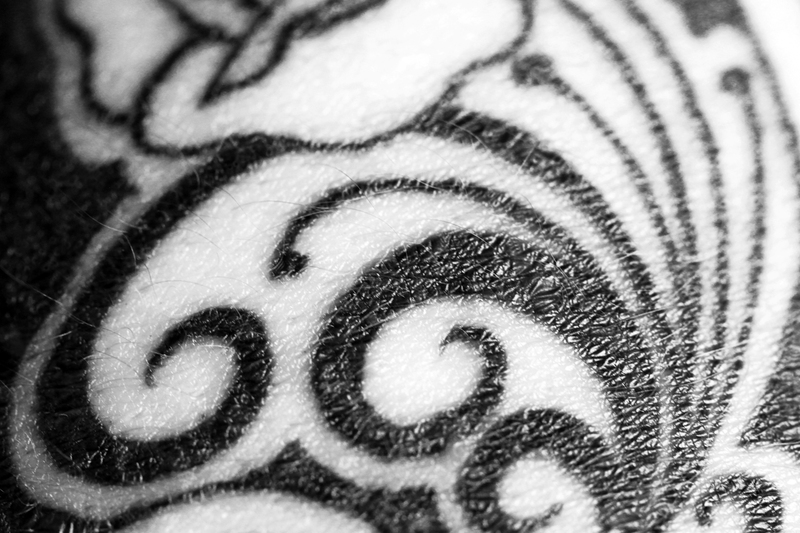 Jon was immediately taken with the idea for the tattoo, and asked to see photos of ferri in real life, and to see more examples of Dante’s work. Below, you’ll see the finished tattoo.